"Sri Sri Ravishankar had offered that we should construct a big mosque outside Ayodhya. But later he cornered himself. 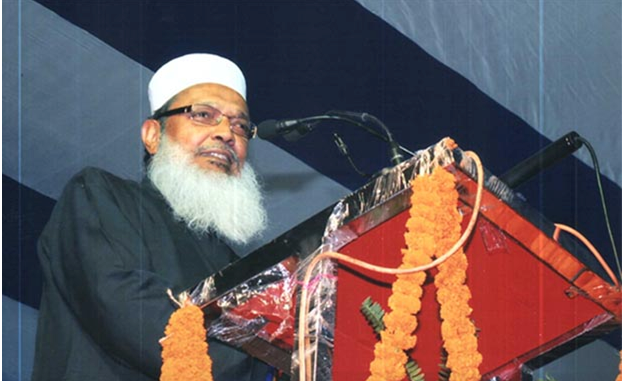 Just imagine, what had happened," AIMPLB General Secretary Maulana Wali Rehmani said. Lucknow: Terming VHP's "Dharm Sabha" and visit of Shiv Sena President Uddhav Thackerey to Ayodhya an open "challenge" to Supreme Court, All India Muslim Personal law Board (AIMPLB) Sunday said a situation is being created against the Muslims. "It is not the matter of giving a mosque but its a matter of principle that how many mosques will we have to sacrifice gradually. If we talk to someone, it will withdraw and another one will come. "Sri Sri Ravishankar had offered that we should construct a big mosque outside Ayodhya. But later he cornered himself. Just imagine, what had happened, we entered into an agreement with him," AIMPLB General Secretary Maulana Wali Rehmani said while talking to. "VHP's dharm sansad and visit of Thackerey and similar such programmes, a situation is being created against Muslims and its also an open challenge to the judiciary (SC)," he said. On Samajwadi Party supremo Akhilesh yadav's statement that Army should be brought in Ayodhya, Rehmani said "his demand is not unjustified especially keeping in mind the role of the state police and biased action against Muslims." "In such a scenario, it seems Akhilesh is disappointed with the police and has demanded deployment of Army there. Government will be responsible for communal tension, if any," he added. Yadav had on Friday said, "The Supreme Court should take notice of the situation in Uttar Pradesh. It should seriously consider the matter and bring in the Army, if required... as the BJP and its allies can go to any extent." 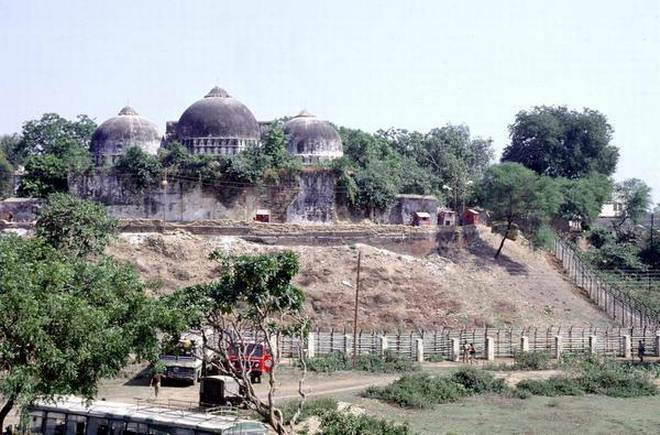 On talks to resolve the Ayodhya issue, Rehmani said, "as far as talks are concerned we are asked to make mosque outside Ayodhya. This is like dictating terms". There is no talk like "kuch tum peeche hato, kuch ham" (Both compromise a little), he added. 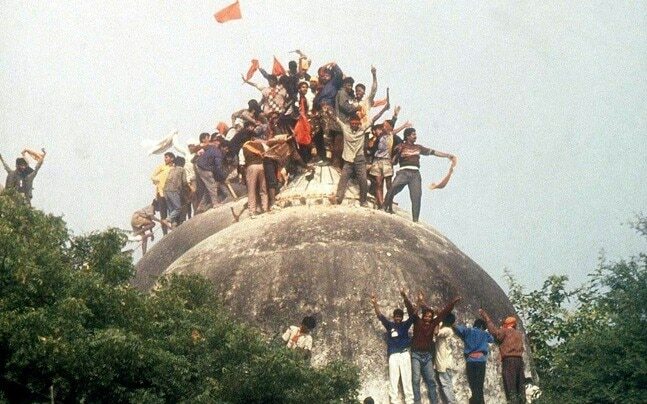 Stating that "compromise on Babri mosque" has many drawbacks, Rehmani said, "First, it will be said that if Muslims can leave claim of a mosque when why not on second, third, fourth and so on..Secondly, even if maximum Muslims parties sign for giving mosque's land what's the guarantee that non-signatories will not raise for another mosque." Asked whether attempts to rake up temple issue is becoming successful, Rehmani said: "There is not doubt the Hindu brothers are taking is as a pure politics. But certainly the foundation movement on which Hindus are being targeted is becoming successful. "Only the time will tell, how much it succeeds," he added. Rehmani said a AIMPLB meeting is proposed in Lucknow on December 16 in whichthe present situation in Ayodhya will be discussed, though it is not in the agenda.